Candida albicans is a common fungal pathogen; part of the gastrointestinal tract’s normal flora and regulated by the immune system. Systemic infections caused by C. albicans can lead to invasive candidiasis.The infection is most common among immunocompromised patients, including premature infants and older adults and the fourth common blood infection among hospitalized patients in the United States. The researchers analyzed the impact of coconut oil and investigated the effects of three different dietary fats on the amount of C. albicans in the mouse gut: coconut oil, beef tallow and soybean oil. The control group was fed a standard diet for mice. Coconut oil was selected based on previous studies that found that the fat had antifungal properties in the laboratory setting. The findings indicated that a coconut oil-rich diet reduced C. albicans in the gut by 90%, compared to a beef tallow-or soybean oil-rich diet. “Coconut oil even reduced fungal colonization when mice were switched from beef tallow to coconut oil, or when mice were fed both beef tallow and coconut oil at the same time. 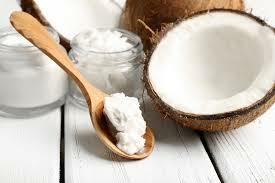 These findings suggest that adding coconut oil to a patient’s existing diet might control the growth of C. albicans in the gut, and possibly decrease the risk of fungal infections caused by C. albicans,” said Kumamoto, Ph.D., a professor of molecular biology and microbiology at Tufts University School of Medicine and member of the molecular microbiology and genetics program faculties at the Sackler School of Graduate Biomedical Sciences. “We want to give clinicians a treatment option that might limit the need for antifungal drugs. If we can use coconut oil as a safe, dietary alternative, we could decrease the amount of antifungal drugs used, reserving antifungal drugs for critical situations,” said author Kearney Gunsalus, Ph.D., an Institutional Research and Academic Career Development (IRACDA) postdoctoral fellow at the Sackler School in Kumamoto’s lab.